RWE will equip a total of 49 Tank & Rast motorway service stations with ultramodern quick-charging stations. In late 2015, RWE announced a major fast charging project with Tank & Rast in Germany that is now underway. 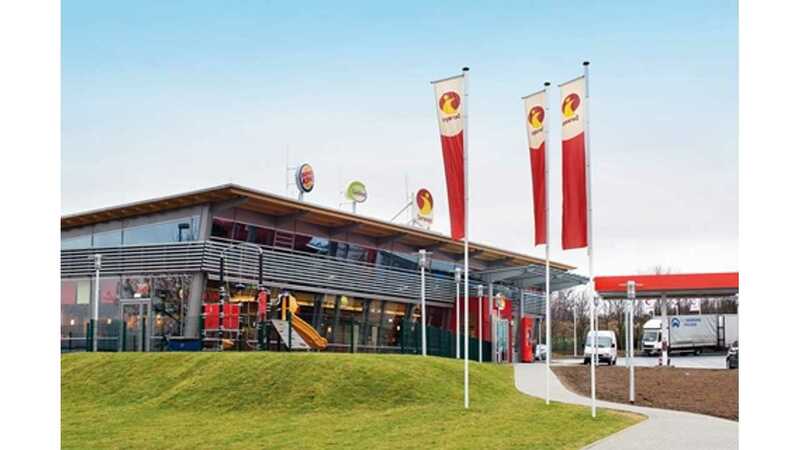 The plan is to install ultra-modern charging stations at 49 German motorway service stations. Chargers are supplied by Efacec, and the even better news today is that RWE is using Efacec's multi-standard units - the QC45, with 50 kW CCS, CHAdeMO and AC type 2. "As a result, even on longer journeys, electric car owners will soon be able to quickly and easily “refuel” their electricity. Depending on the vehicle model, the charging time is only 15 minutes for a range of approximately 100 kilometres (58 miles). 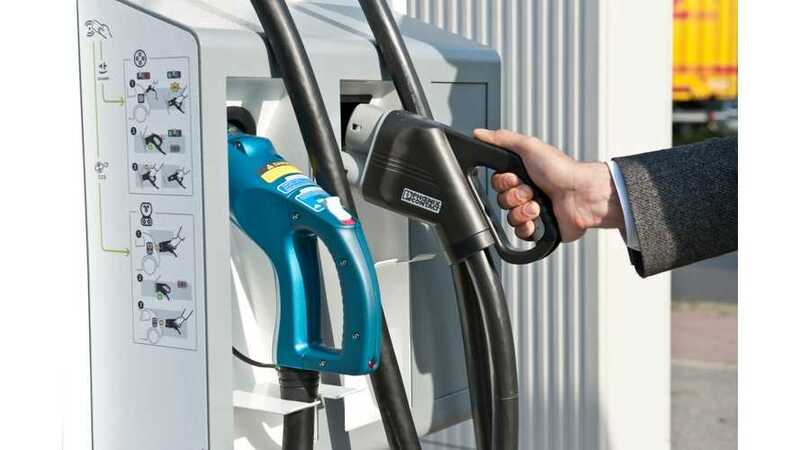 RWE Effizienz’s quick charging stations are equipped with all modern ports: the Combined Charging System (CCS) standard, Chademo, and type 2 plugs. Because there are two parking spaces located at each charging station, it is possible for travellers to charge two vehicles simultaneously. In the initial phase, they will be able to use the service free of charge, without a charging card." By 2018 Tank & Rast sites could turn into the largest fast charging network in Germany if all ~400 locations ultimately get DC fast chargers. "In total, Tank & Rast plans to equip around 400 locations, and hence, from 2018 onwards it will offer the largest single network of quick-charging stations on Germany’s motorways. Within this network, drivers of electric vehicles will therefore find an e-charging station about every 30 kilometres (19 miles) on average."